Renewable energy targets written into legislation provide a concrete trajectory for the transition towards a sustainable renewable energy system. A specific target will help to stimulate national debate on how this can be achieved. Without doubt technological advancements and business models are now available to meet almost all power needs; however a concrete target is necessary to make sure that all vested stakeholders get involved. Local renewable energy targets can set the direction of current and future action and can also lead to national targets. Local governments can develop and implement a variety of policies such as, integrating renewable energy targets into municipal operations, or into comprehensive city strategies and plans, or through sector-specific targets. The city of Malmö in Sweden set targets significantly more ambitious than both the European Union’s (EU) target for Sweden (49% by 2020) and the national plan (50% by 2020), such that by 2020, Malmö is expected to be climate neutral. By 2030, all municipal operations will run on 100% RE. Malmö has benefited from committed local politicians, private investment in RE, strong co-operation with regional stakeholders and a thorough knowledge of the locally available RE sources. Although the implementation plan is still in its early stages, the target setting exercise has been a success in itself and has allowed the local government to integrate, synchronise and mainstream the targets across the City of Malmö’s plans. Political will is needed to deliver new and improved legislation that creates a level playing field for renewable energy and other fuel sources. Often markets are distorted because, for example, fossil fuels extraction is subsidized, tax burdens are unequal and as the negative societal impacts of fossil fuels (e.g. health impacts, climate change etc.) are not reflected in the current pricing. Political will needs to be spread through stakeholder dialogue to a diverse network of parties that can include: energy ministries, national energy providers, private renewable energy entrepreneurs, utilities, local authorities and, regional energy bodies. An integrated policy framework cutting across all relevant government departments is needed to boost collaboration across government departments, to increase the coherence the planning, and deepen the policy dialogue between previously distinct sectors and government departments (energy, building, transport, finance, infrastructure etc). On top of this, greater coordination between different levels of government is required In order to sustain political and economic momentum . In 1997, the municipality and local government of Dezhou, China elaborated a Development Plan for the Dezhou Economic Development Zone to centralise solar technology research and development, manufacturing, education and capacity building. The local government of Dezhou attracted direct investments by implementing supportive policies on land-usage, tax-return and financing to overcome the relatively small size of the local solar energy industry, the lack of well-developed financing mechanisms for growing industrial companies and the shortage of sector-related skills and expertise. Dezhou now boasts over 120 solar energy enterprises which generate an annual turnover of US$ 3.46 billion. It has established a mature technology innovation system, as well as excellent capacities in engineering, research and commercialisation. Deployment policies are needed to support and stimulate the development and growth of a robust renewable energy sector. These are commonly classified into four categories: fiscal incentives; public finance; regulations; and access policies. This means that policies may involve adopting a feed-in tariff to encourage more investment in renewable energy supply as well as including an ecological tax reform, to put a price on polluting sources of energy while encouraging investment in cleaner alternatives. It is important to remember that once renewable technologies reach fiscal parity these policies can be scaled down and then removed. Feed in Tariffs (FITs) give renewable energy a leg up in a markets dominated by fossil fuels. 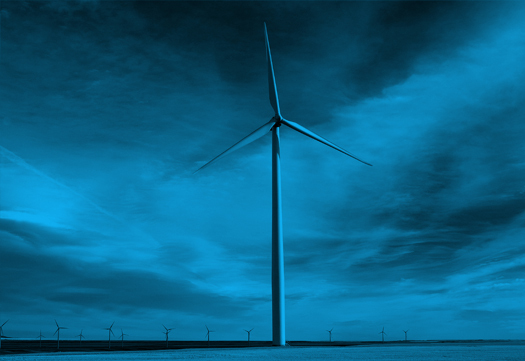 They aim to support the market development of renewable energy technologies specifically for electricity generation by putting a legal obligation on utilities and energy companies to purchase electricity from renewable energy producers at a favourable price per unit, and this price is usually guaranteed over a certain time period. The first Feed In Law in Germany was the Stromeinspeisungsgesetz (StrEG) introduced in 1990. The StrEG was modified in several ways in April 1998 with the adoption of the Energy Supply Industry Act, and in 2000, the Erneuerbare Energien Gesetz (EEG), otherwise known as the 2000 Renewable Energy Sources Act. The EEG introduced a number of changes, including a differentiation in tariff rates depending on the renewable energy type, size and site. It also extended the range of technologies to be covered, and replaced the StrEG’s percentage based rates with fixed rates over fixed periods 20 years from the start of operation of each new qualifying plant. The EEG Amendment in 2004 committed Germany to increase the share of renewable energy in the country’s total electricity supply to 12.5% by 2010, and to at least 20% by 2020. 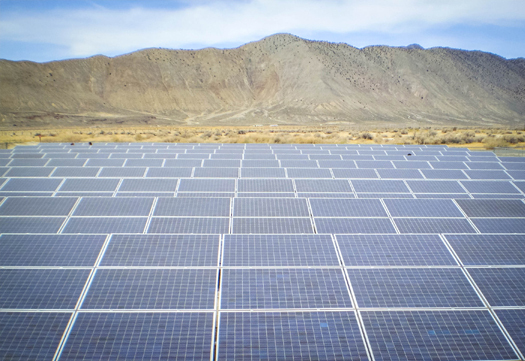 This bill required utilities to connect renewable energy generators to the grid, and to buy the electricity produced at a rate of 65-90% of the average tariff charged per unit to end users. The process of fine tuning the German FIT laws has been a long one, but the laws outlined above have had a major impact on facilitating the development of Germany’s supply of renewable energy. It is expected that by 2020 the renewable energy industry will employ 500,000 people. Investor confidence is required, despite soaring renewable energy investments governments and energy agencies have an important role to play here. 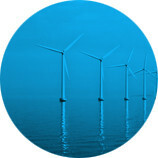 For instance, finance can be difficult to obtain for large renewable projects, as investors aren’t confident rules will remain unaltered or that renewable energy goals will be met in the longer term.Governments need to set long-term goals and ensure they create a stable policy environment show that they have a long-term commitment to renewable energy. Energy agencies can demonstrate a willingness to provide access and upgrades to grid infrastructure. How to achieve 100% Renewable Energy: Policy Handbook 2014, World Future Council, http://worldfuturecouncil.org/fileadmin/user_upload/Climate_and_Energy/Cities/Policy_Handbook_Online_Version.pdf, p45.